Something new (at least to me) at LAS! | Oh, the Places We See . . .
← Culture awaits you: Arts in the Airport! 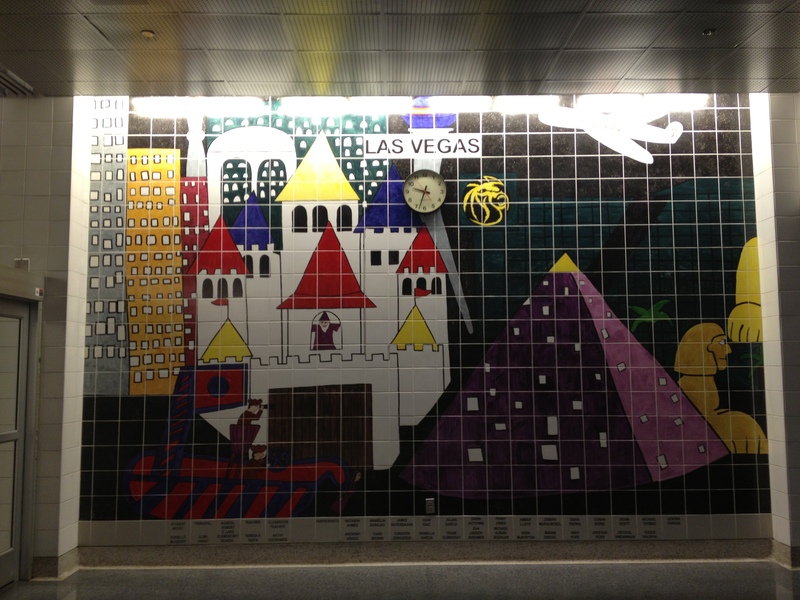 Something new (at least to me) at LAS! 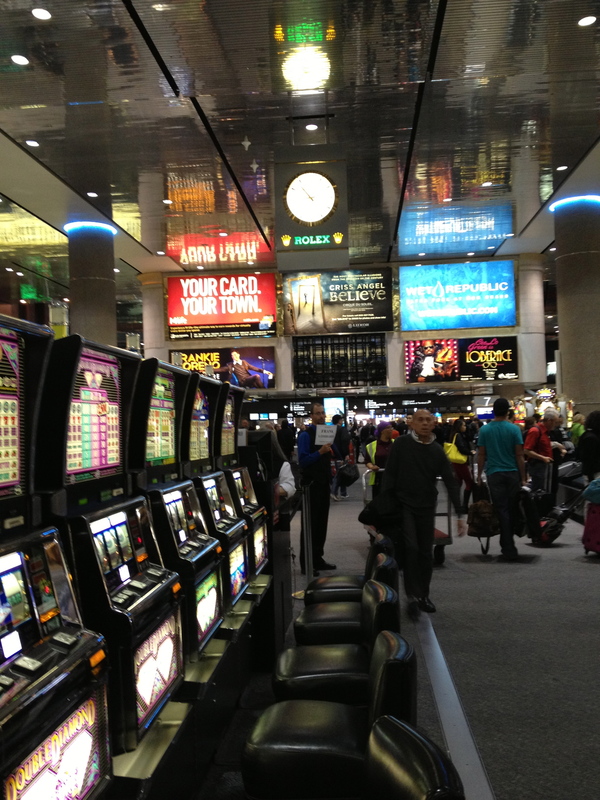 On my fifth trip this year to Vegas’s McCarran, I saw something I hadn’t seen before. 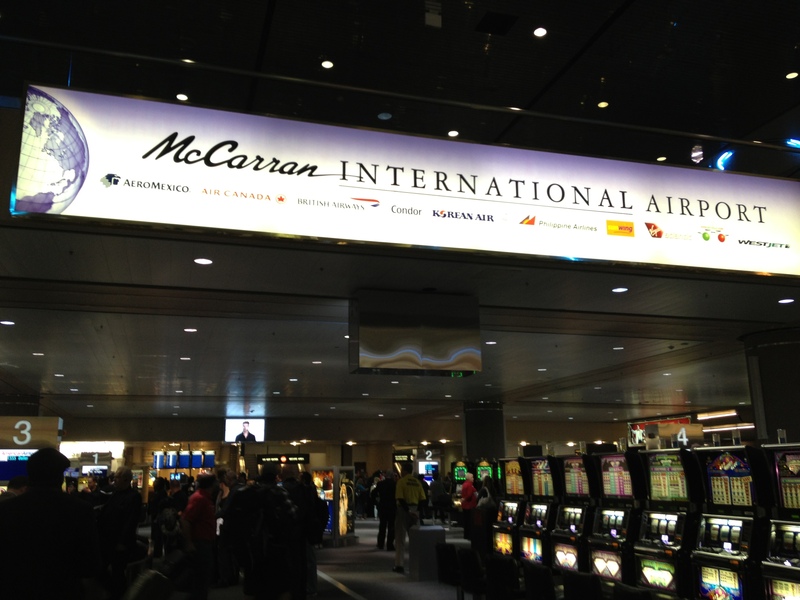 Not at McCarran. Or any other airport, for that matter. But it’s probably been there all along. I may have been too busy watching luggage spin around on those carousels to even notice. No, it wasn’t the artwork I’m so fond of seeing in airports. The slots at Vegas. Even at the airport. It was something quite simple . . . practical. . . workable — a sign that a chauffeur or greeter held up to indicate who he was looking for. I’ve seen dozens of these signs, but they were always printed on card stock or affixed to a clipboard. Not the one held by this man (and lots of other guys at McCarran). 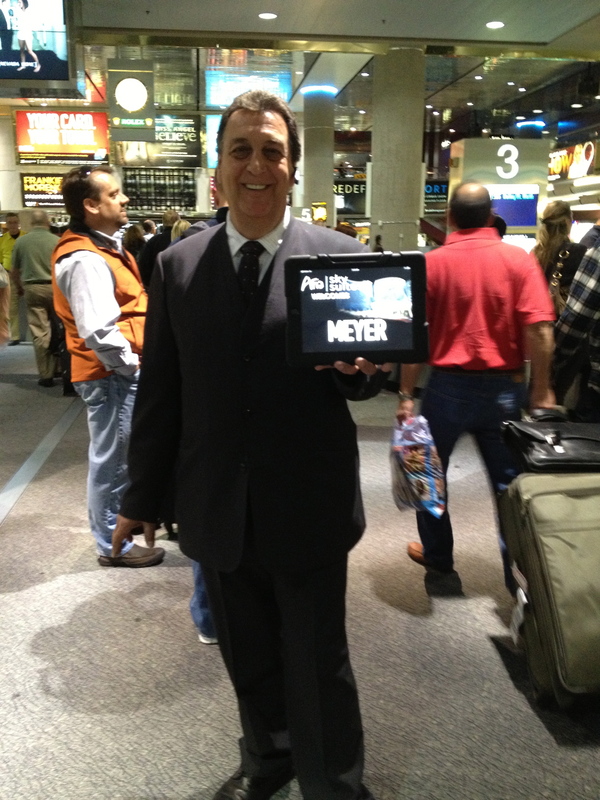 In fact, almost all the meeter/greeter folks were holding iPads boldly showing the name of the intended connection on a bright background. New to me. Just a little something unexpected you get to see when you travel! 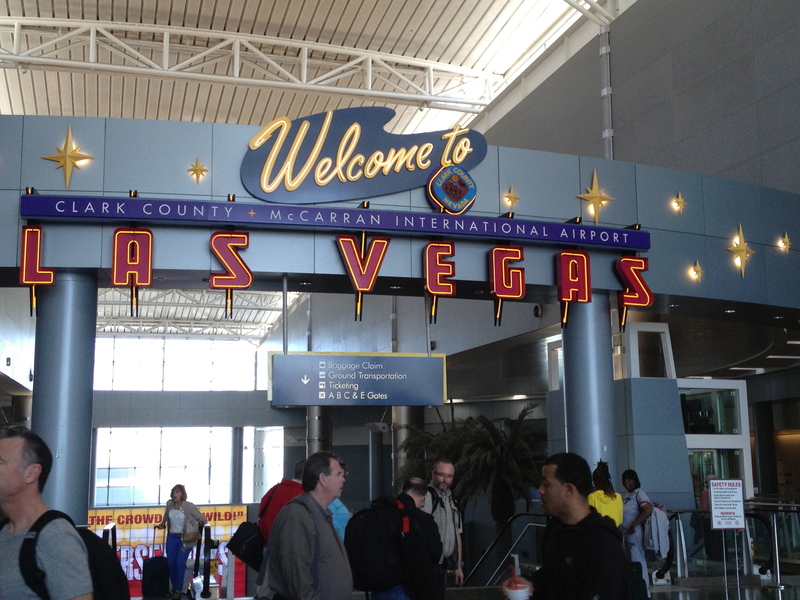 This entry was posted in Travel and tagged Las Vegas, McCarran International Airport, travel. Bookmark the permalink. 6 Responses to Something new (at least to me) at LAS! Or maybe me standing there with BOTH of my bags intact. That would be good, too! Rusha! You had me on the edge of my seat…what a cool way to reveal the sign! Yay! You make me smile all over! And you make me smile when you read my posts! I’ll have to admit these iPad signs were pretty cool. In the blink of an eye, the signs can be changed — names, fonts, colors, etc. Not a bad idea, if you ask me!